We have directly witnessed a huge increase in the amount of people who come to us that have no food. They are either experiencing a crisis/& or have no means of support in place. These include families with young children, pensioners, disabled persons as well as those who are homeless or in a period of transition in their life. Working in partnership with other agencies and volunteers from the local community, we have set up a food store to distribute food parcels to people in need in St. Anns and Sneinton communities. The food store first opened its doors on Thursday 13th December 2012. Our aim is to be as flexible as possible, responding to individual needs as and when they occur. However, in the short term the food store will have set distribution times and support those people without income I.e. benefit sanction, benefit not in place. Each individual will be assessed by an experienced Advice worker who will offer support and representation where applicable. Donating through our justgiving webpage is simple, fast, and totally secure. Your details will also never be sent on to a third party. We will receive your donation immediately and GiftAid is automatically reclaimed if you are a UK taxpayer, saving us time and money. Please consider this as the best way of making one-off donations. e.g ‘FOOD31 £3’ to 70070 to donate by texting from your mobile phone! Simple. Include a note with your name, address and state whether you are a UK taxpayer in this current tax year (this allows us to claim 20% extra from inland revenue in Gift Aid). If you don’t mind being on our mailing list please can give us your email address too (this saves us postage costs). 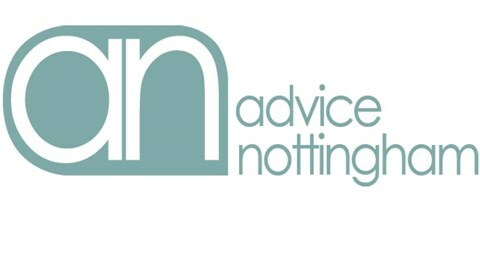 Just download and print out the standing order form, fill it in, and send it to us FAO: Manager, St. Anns Advice Group, Chase Neighbourhood Centre, Robin Hood Chase, Nottingham. NG3 4EZ (or pop it into your bank).